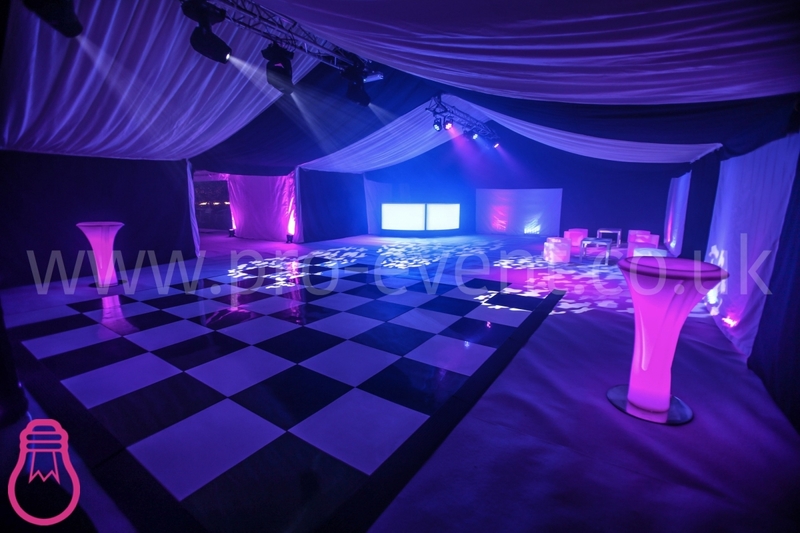 We love creating parties for our clients and it was great working with Josie to realise her vision. Having been to a number to herself, Josie wanted hers to feel different to there others and we were happy to assist! Charlie & Harvey (EH Events & Marquees) attended a site visit with Josie’s Mum Julie to see the space and see what could be done. The guys chose a nice bit of flat ground in the garden and measured out the space. 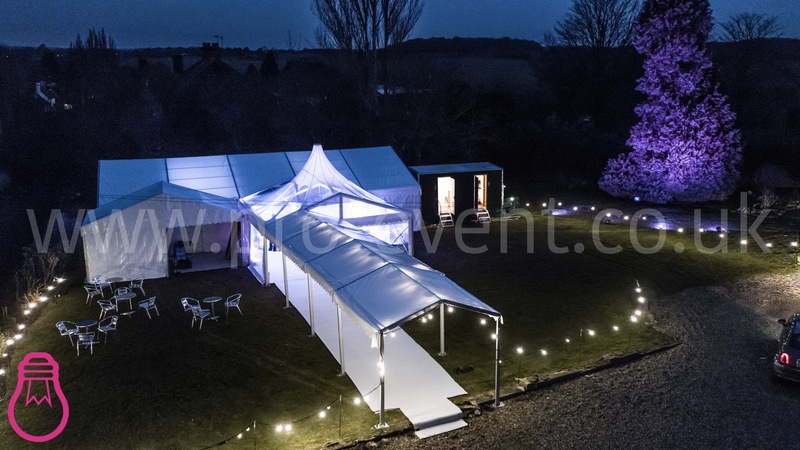 9m x 15m marquee for the dance and bar area. Lined with alternate black and white lining to create a cool, slick look. EHs awesome new 6m x 6m clear cone as a furnished chill area. 6m x 3m catering marquee for hot food to be prepared and served from. 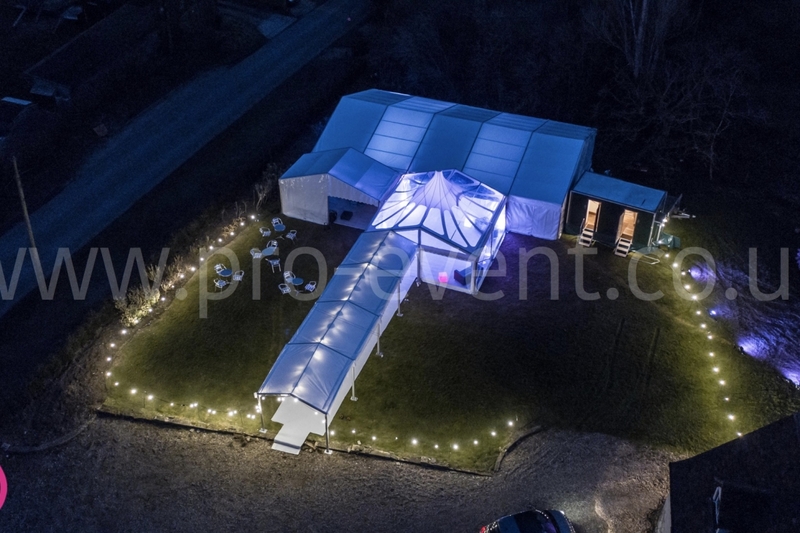 3m x 12m tunnel area to create an entrance from the drive way to the marquee. Finished in diamond grey carpet throughout. Hanging bulb festoon perimeter on low poles to create a party perimeter. 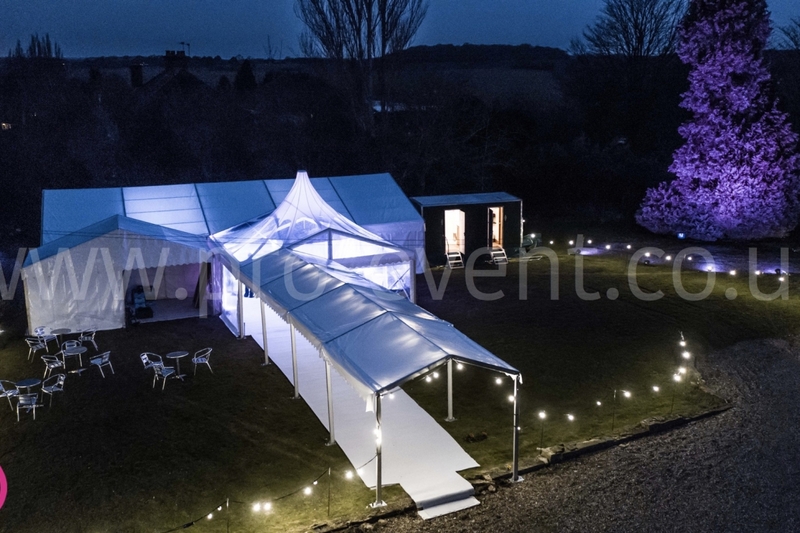 Mood lighting throughout the marquees to add ambience. Highlighting a tree in pink creating a focal point. 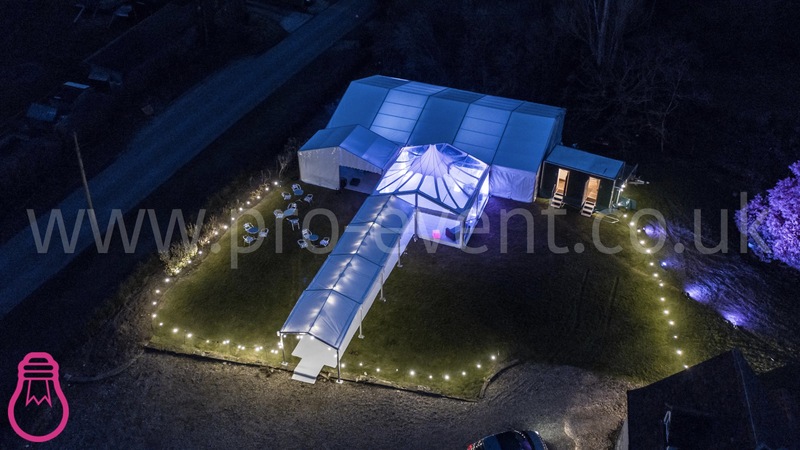 Main lighting rig hung from the roof of the marquee which included moving lights over the dancefloor with static coloured lighting for the bar area. This gives a great slick look to the marquee. Slick black DJ Booth with lighting colour matched. 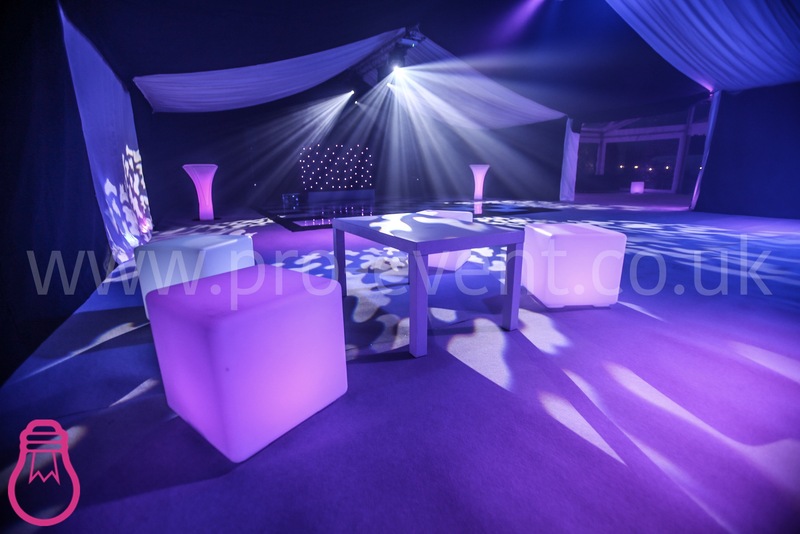 Furniture comprising of Curved LED Bar, White coffee tables, LED Cubes & LED Poseur tables. Complete power distribution to the marquee from the house power supply saving the cost of a generator. (not always possible but always the first option we explore). One of our club style DJs took care of the music for the evening. Josie took advantage of our online music planner which meant she could tailor her playlist to her and her friends. 3 SIA approved security staff were also supplied by Pro Event Hire for peace of mind and to make sure everybody had a fun and safe evening. Our big New Year Sale!